Colorado expected to see $1 billion in new revenue in 2019; will taxpayers get a rebate? The Colorado State Capitol in Denver, Colorado. 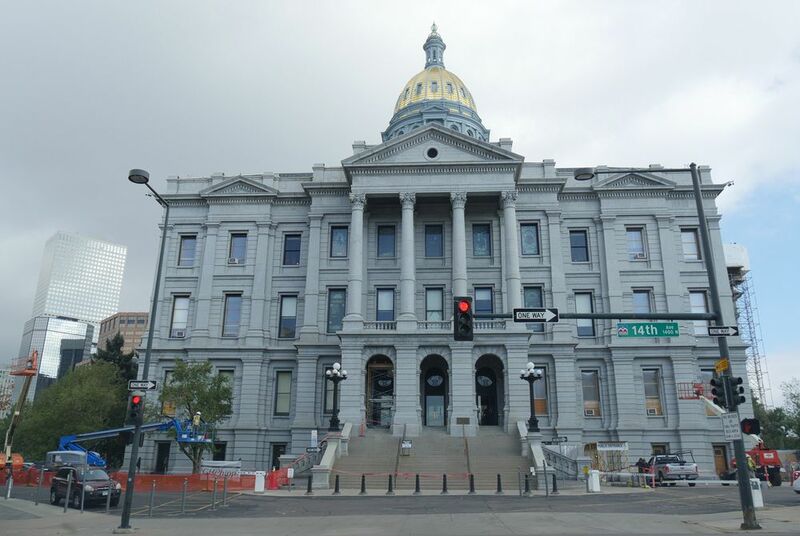 With the state of Colorado expected to generate about $1 billion in new state revenue in fiscal 2020, state law may require that the state refund roughly $148 million to taxpayers. The Economic and Revenue Forecast presented to the Joint Budget Committee in June showed that the state’s general fund is projected to close out fiscal 2018 with a $1.2 billion surplus. Since Colorado’s Taxpayer’s Bill of Rights (TABOR) places a cap on annual state tax revenue the state can keep, spend or save, many wonder whether Coloradans will actually see tax refunds in 2020. Jon Caldara, president of the Independence Institute, said that although TABOR has a revenue cap and taxpayers can get back money when the cap is surpassed, there is no guarantee that money actually will be refunded. “The problem is that the legislature keeps us from ever reaching that amount because every time it looks like we’re going to get close, they just call another part of the budget ‘a fee,’ and take it outside of the budget,” Caldara told Watchdog.org. A perfect example of this, Caldara said, was the faster fee, which is a registration tax on a person’s vehicle, and most recently, the hospital provider fee, which is a bed tax. State revenue is expected to surpass the cap by $126.2 million, which should result in a TABOR refund for tax year 2019, according to the legislative forecast. An additional $21.3 million brought forward from fiscal 2015 will bring the total amount to $147.5 million. TABOR, which took effect in 1992, mandates that refunds should be distributed through local government reimbursements for seniors and disabled veterans with property tax exemptions. If there are any remaining refunds, they will be distributed via the six-tier sales tax refund system. Penn Pfiffner, chairman of the TABOR Committee, said giving Coloradans the opportunity to maintain a level of control over state government is paramount. Pfiffner added that refunds have been distributed to taxpayers in Colorado in the past. Between 1997 and 2000, TABOR’s spending limit was exceeded and the state had to turn around and give the money back. An average of $3,200 per family was returned over three years, he said. Although TABOR has been proposed in at least 30 states since 2004, Colorado remains the only state with TABOR. The law has come under scrutiny over the years, and opponents have claimed the law is responsible for the state’s economic troubles in the past that resulted in a credit downgrade in 2002. As a result, Colorado suspended the law for five years in 2005 following a decrease in public services. Pfiffner echoed Caldara’s concern over new taxes being introduced without voter approval. In fact, the TABOR Committee has filed several lawsuits in the past against the state. “We have had a way of controlling government growth so that the state, although it’s not a low-state tax, is one in which people have had good control over the state government. We’re still fighting that battle everyday,” Pfiffner said. The forecast predicts strong growth in the near future that is expected to taper off through 2020. This entry was posted in Colorado Legislature, Fees, Fiscal Policy, Hospital Provider Lawsuit, Legal Issues, Media, TABOR news story, TABOR Refunds, Taxes by thetabor. Bookmark the permalink.